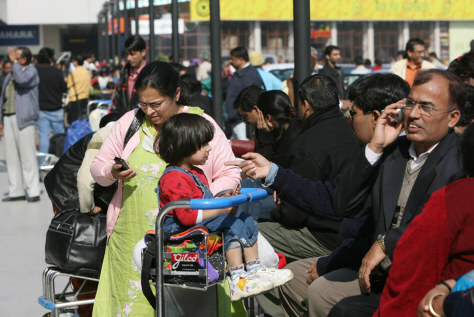 Passengers whose flights were canceled or rescheduled because of fog, wait outside the domestic airport, in New Delhi, India. Over the last few weeks as a cover of heavy fog descended on the Indian capital thousands of passengers have had their holiday and work plans turned upside down. But the weather isn't the only reason.